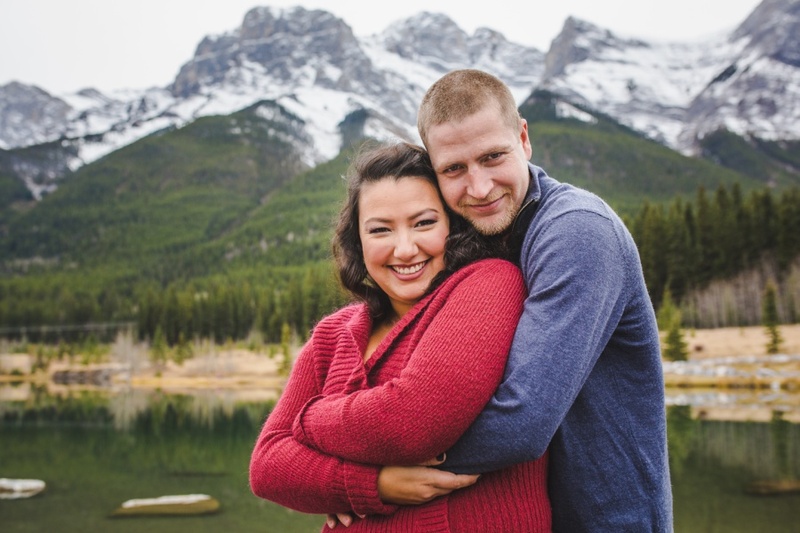 Stacey and Mike kicked off my 2017 year of weddings and they were probably one of the most amazingly organized couples ever. 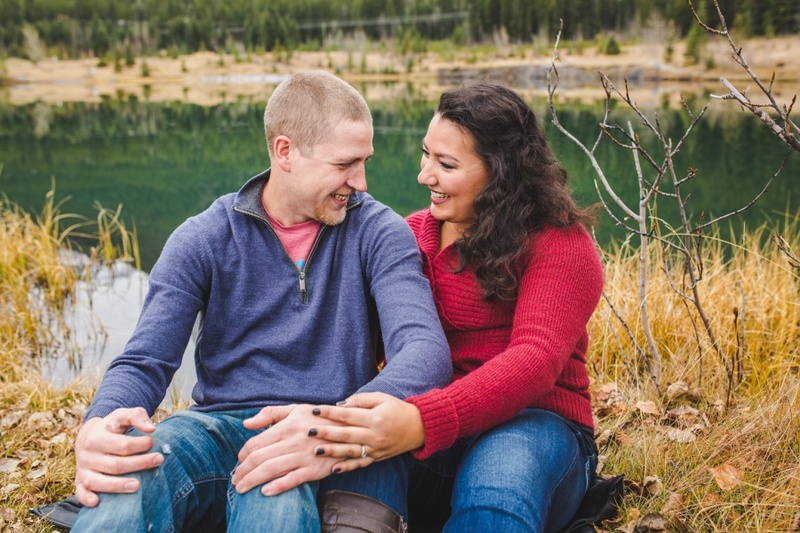 Stacey was working on opening her own business while going to school, and wanted to have as much completed towards her wedding as possible. 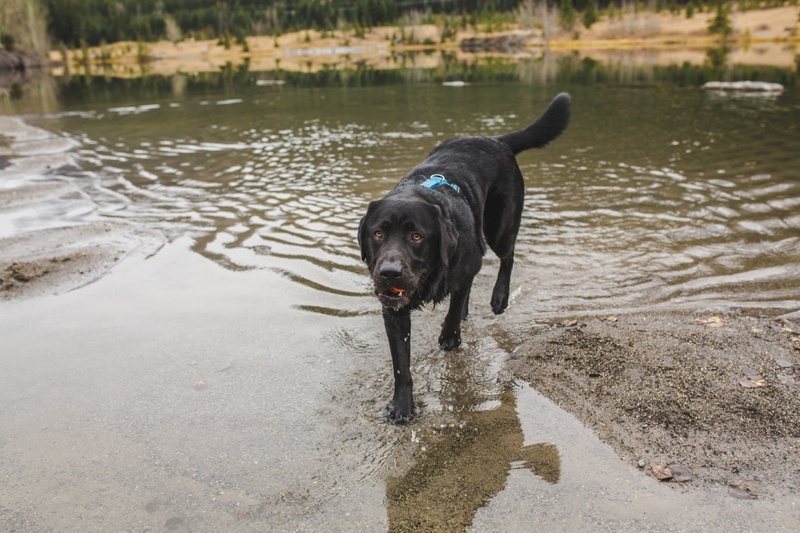 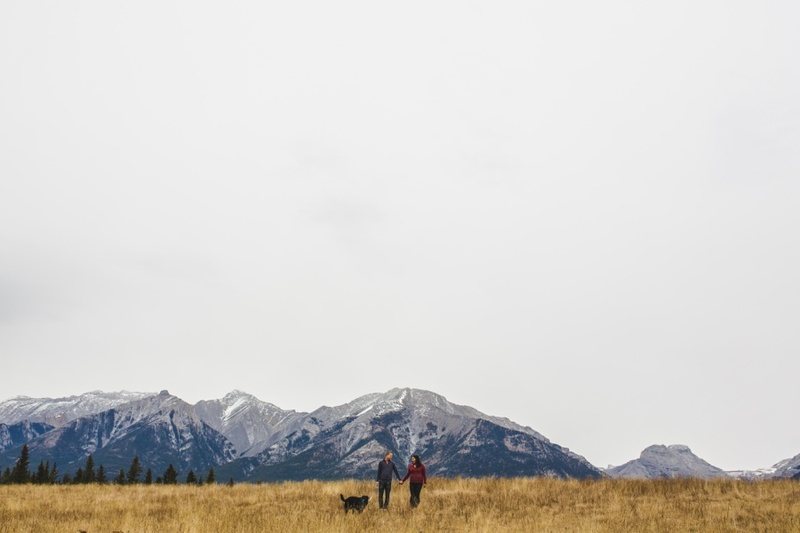 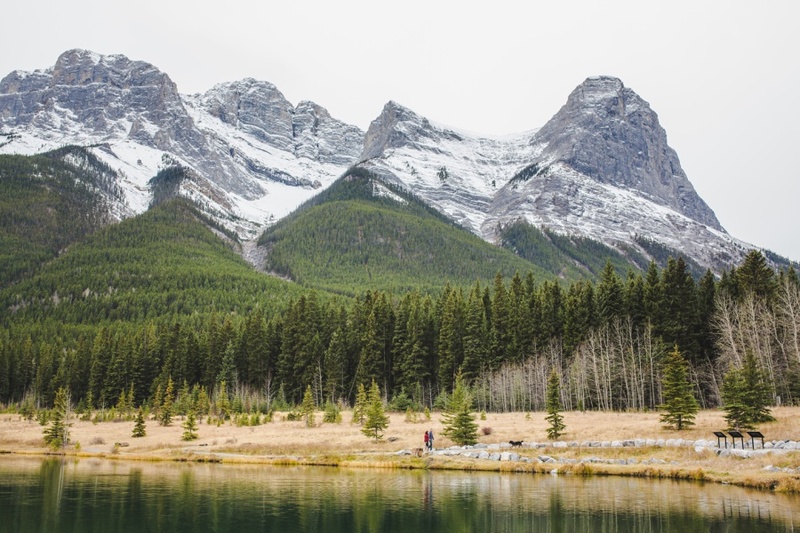 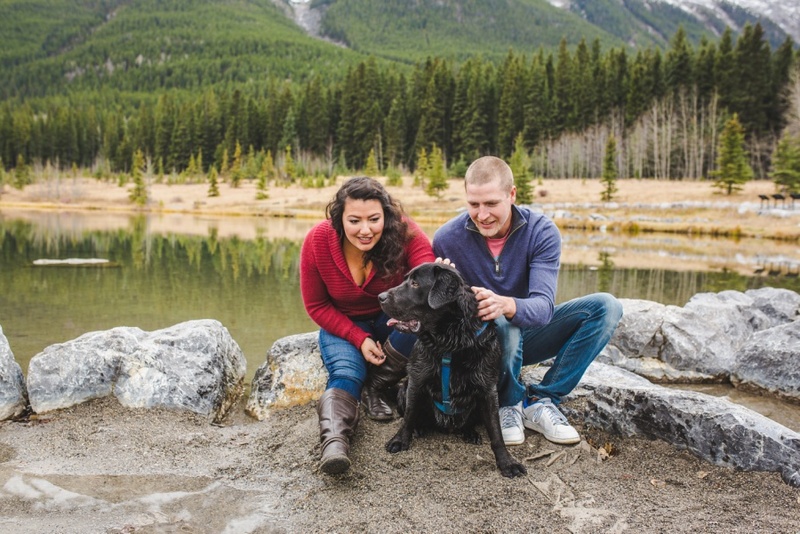 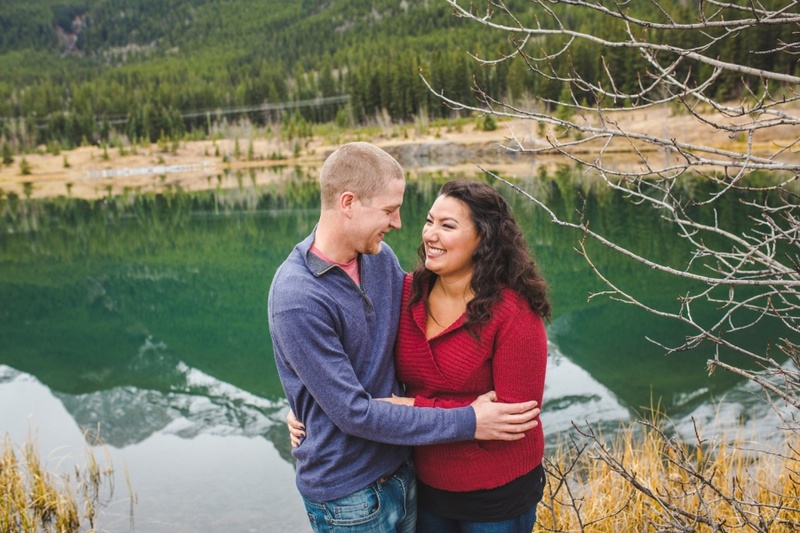 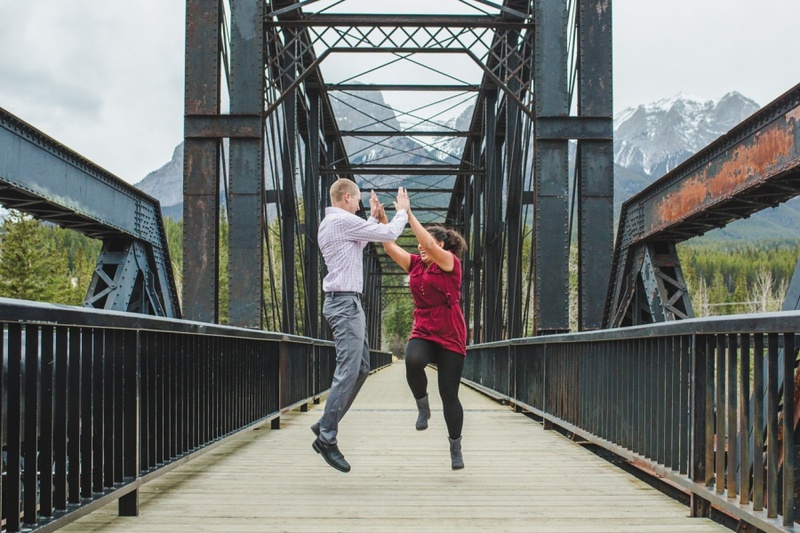 As a result, we had decided to visit Canmore, specifically Quarry Lake Park, in the late fall of last year for their engagement photos – oh, and don’t forget their adorable doggy, Hershey! 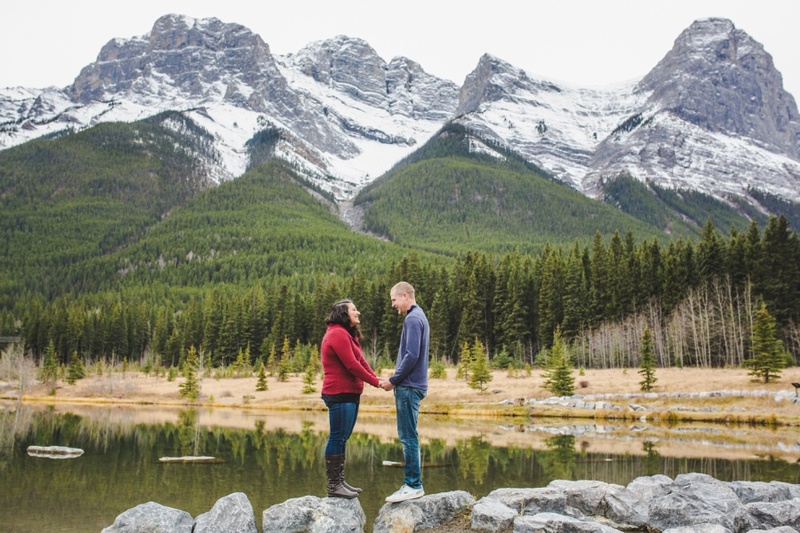 I had the pleasure of photographing Stacey and Mike a number of times before, as Stacey’s parents had me document their beautiful vow renewal. 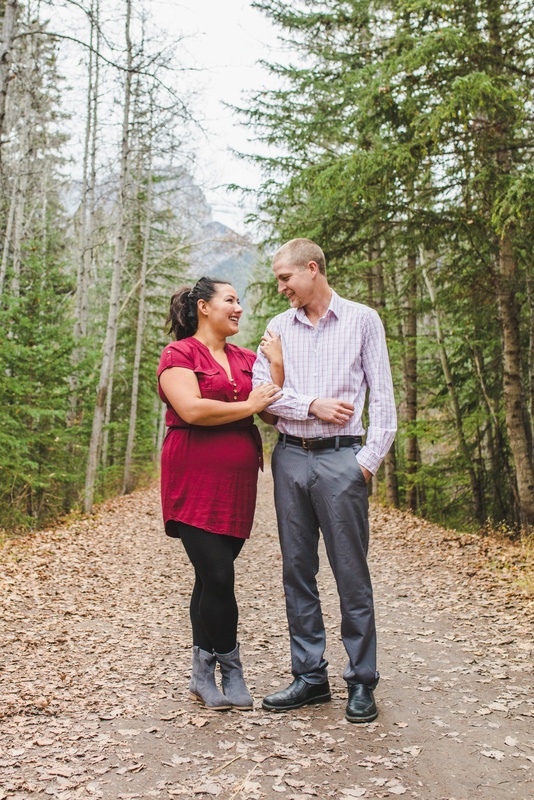 I got to be very familiar with this amazing family and was so, so happy to hear of Stacey and Mike’s engagement, and even MORE excited to have them ask me to be their wedding photographer. 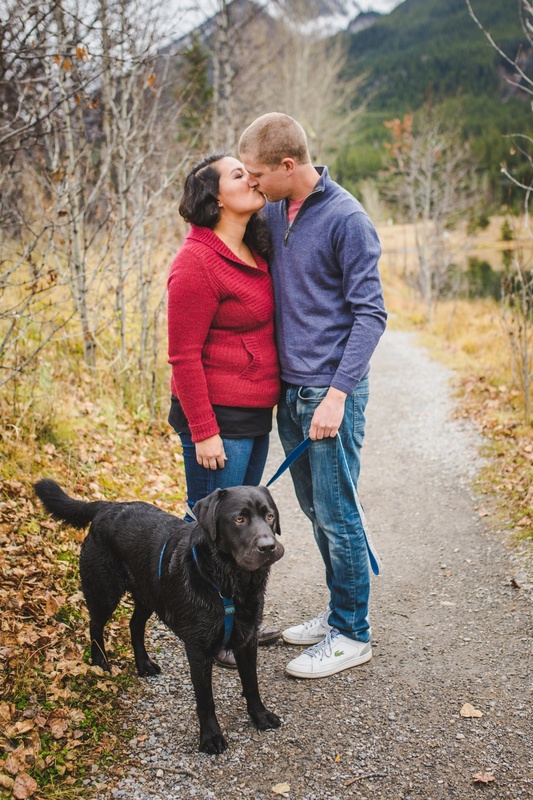 I took photos of the two of them when they first introduced Hershey to their family and it was amazing to watch him grow! 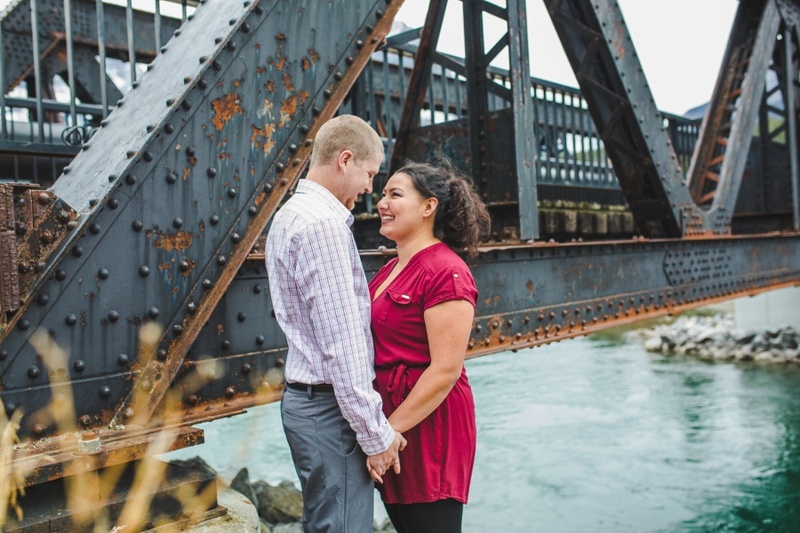 They even got an adorable Dallas Cowboys jersey for him back then, which he promptly outgrew. 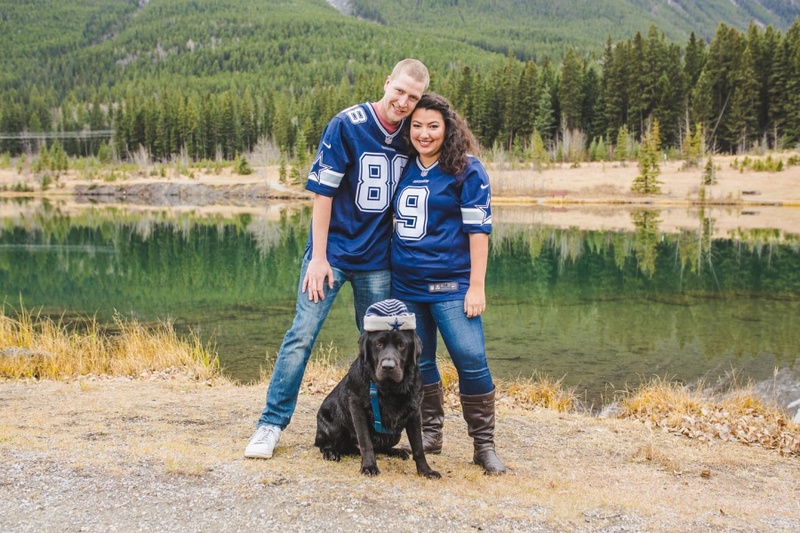 He was such a good sport about having the Cowboys beanie put on him for the engagement photos! 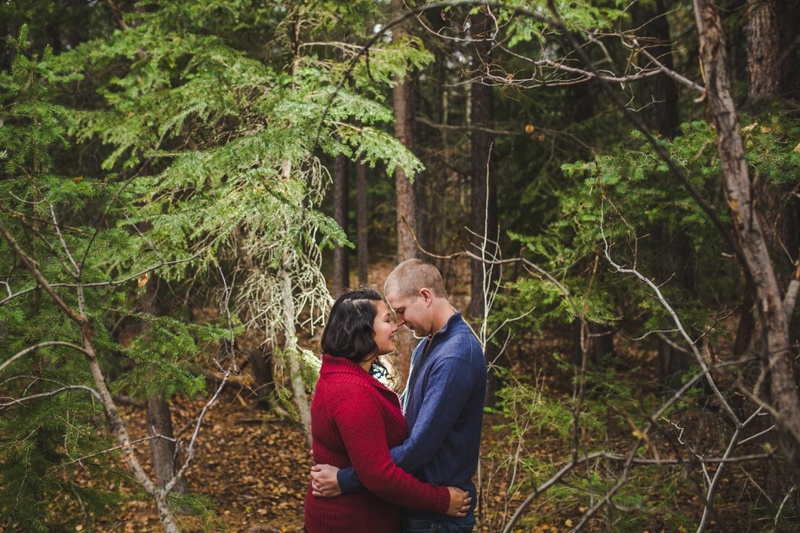 I can’t WAIT to share the photos from their amazing wedding soon!